Mobile virtual reality is the new hotness out right now—phones that users can strap into headsets and get a real, genuine VR experience are a great way to see what VR’s all about without the huge price tag. 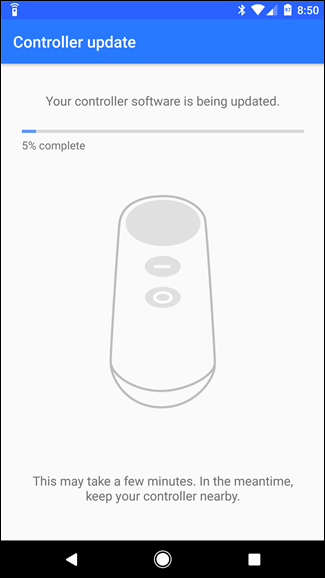 And when it comes down to it, Google nailed it with Daydream View. 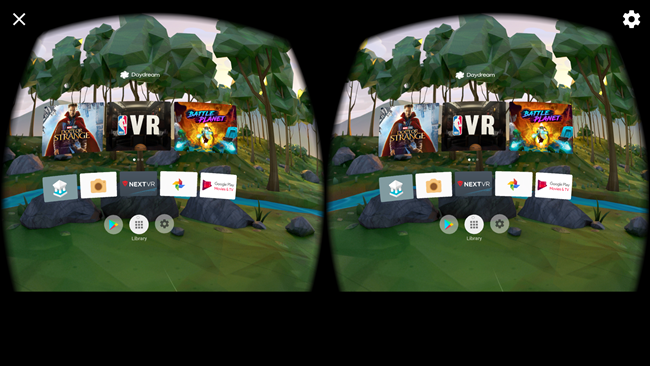 We’ll look at how to set up Daydream View in a second, but first, let’s talk about which phones are compatible and how Daydream View works. It’s a short list for now, but more and more compatible phones should be hitting the scene this year. 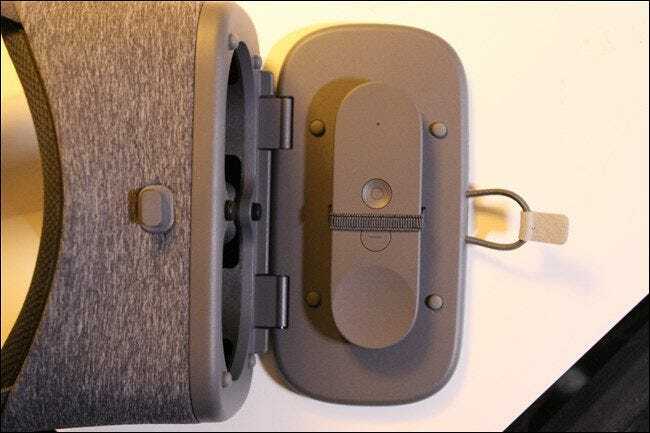 Daydream View is slightly different than other mobile VR headsets, because it actually has a remote that goes along with it (instead of exclusively relying on head turning or on-device touch controls). So, the first thing you’ll want to do is pop open the front panel of the Daydream by releasing the elastic band from the hook on top of the unit. Inside the front of the device, the remote (aka the controller) should be neatly strapped down. 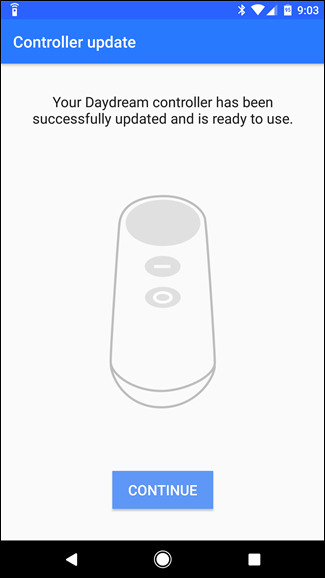 The controller essentially has four buttons: the main touchpad/select button at the very top, a “minus” button just below, the home button at the bottom, and a volume rocker on the side. It’s all very easy to understand. 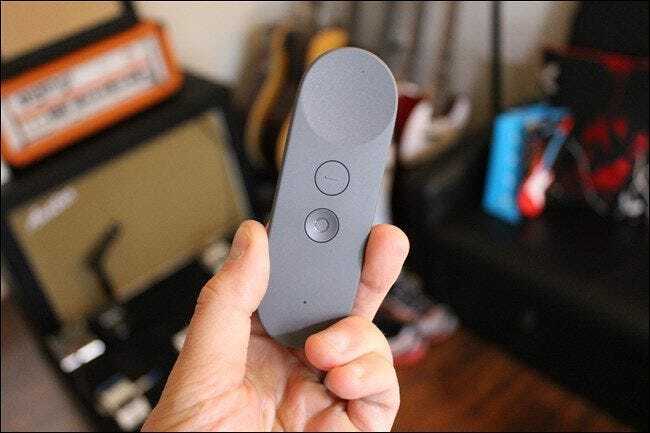 The controller itself is really the unsung hero of the Daydream. It’s packed with loads of sensors—like a gyroscope and an accelerometer—which is what makes it so good. The touchpad detects movements in all directions, so you can use it for forward, backward, and side-to-side motions. That’s excellent for gameplay. Plus it’s small, lightweight, and can be used with one hand. It’s a brilliantly designed piece of hardware—so simple, yet so powerful and elegant in this use-case. 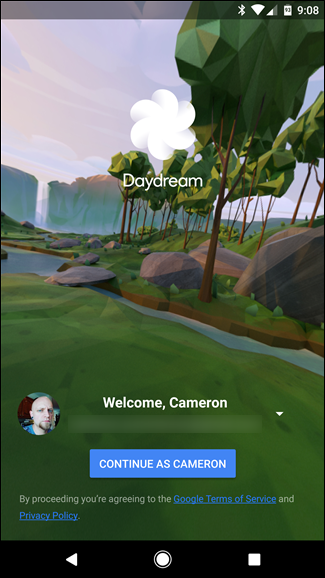 Once you’ve kind of gotten a feel for the controller, go ahead and install the Daydream app. 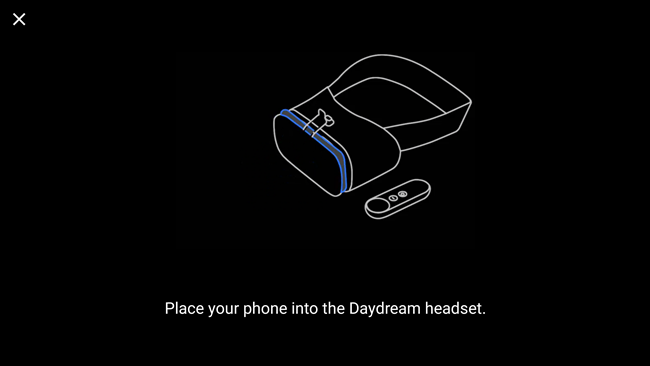 The Daydream View also has an NFC chip in the part where your phone goes, so you can just put the phone down where the controller was originally attached and it will prompt you to install the app. Once the app is installed, go ahead and launch it. You’ll log in, then it will give you a few warnings to agree to. 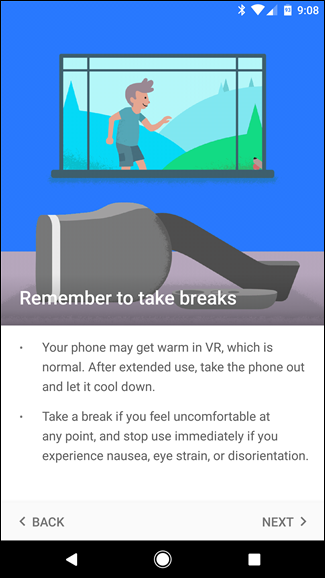 When prompted, go ahead and drop the phone into the Daydream View. 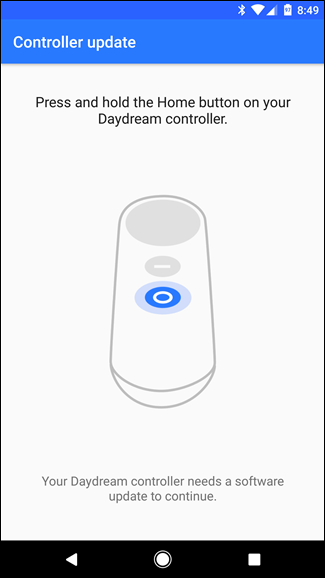 Thanks to the aforementioned NFC tags in the headset, Daydream will automatically launch every time you put the phone into the headset from this point forward. Neat! 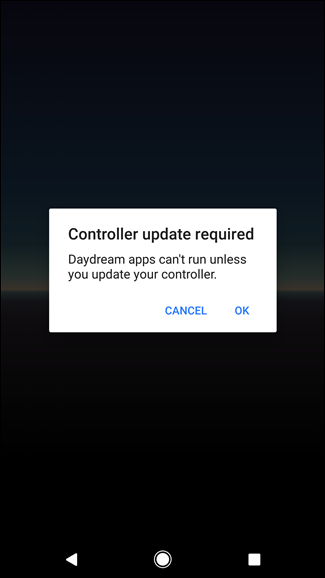 There’s a chance the controller may require an update—if so, it will prompt you as soon as the phone makes contact with the NFC chips and the app tries to launch. This is simple: just long-press the Home button on the controller and following the on-screen instructions. It should only take a few minutes to finish. If everything is up to date, you won’t need to worry with this step—but the odds are you’ll still have to do it sometime in the future. That’s really all there is to it. Once you have the phone in place and the headset on, you’ll use the controller’s touchpad to select apps and swipe through menus. 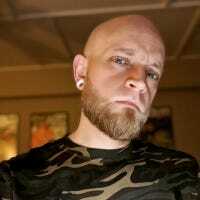 It all becomes very intuitive in a matter of minutes: turning your head allows you to look around (since, you know, that’s what VR is all about), and using the controller becomes very natural within a matter of minutes. 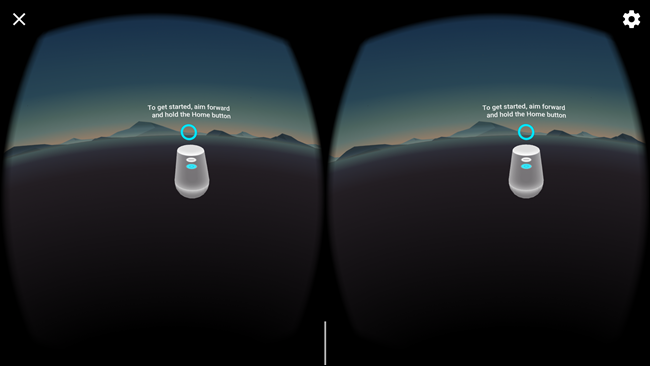 The Daydream interface is simple and intuitive as well. Suggested apps are at the top, recently-launched apps just below, and quick access to the Play Store, all installed apps, and settings at the bottom. If at any point during use the controller becomes off-center, simply long-press the home button to re-center it. Now, dig in. Explore. Have fun with it.